Please make a gift to the Barborinas Fund via the Donate Now button on the right. Annie and Jim Barborinas with their dog, Newman. 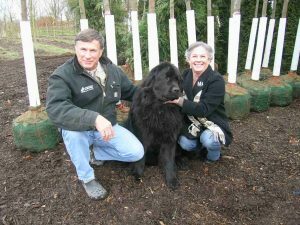 They are building a fund to support research that improves nursery stock and methods.